A beautiful game is not just one that pushes around the most polygons, or has had a budget in the millions to carefully motion capture every minor movement detail. A beautiful game is one that has a distinctive, cohesive, and coherent vision from the concept artists, and the development team have delivered on that. 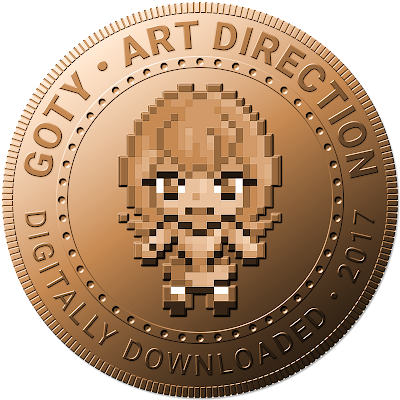 Just as a Dali, Picasso or Matisse painting is so much more beautiful than yet another realistic painting of a river, so too are the winners of the DDNet best art direction award something more than yet another hyper-realistic game. 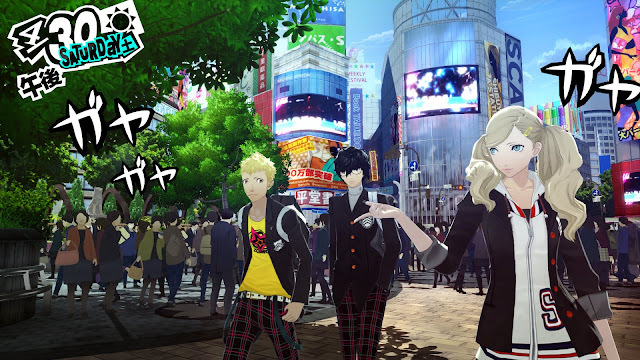 Persona 5 is, without a doubt, the game with the most style that we've played all year. Sitting just short of being so over the top that it becomes garish, every square centimeter of every scene in Persona 5 is filled with vibrant colour and energy. Characters have an incredible level of detail to them, and each also has a very distinctive, unique design, which really helps each to stand out as something truly memorable. You spend a lot of time in Persona 5 - anyone who finishes it in under 100 hours has positively sped through it - so it's a true testament to the game's quality that not once in that over 100 hours does the game lose its sense of visual style, or its ability to impress players. From screenshots, NieR: Automata might not be the most visually complex game released this year, but that's before you see it in motion. 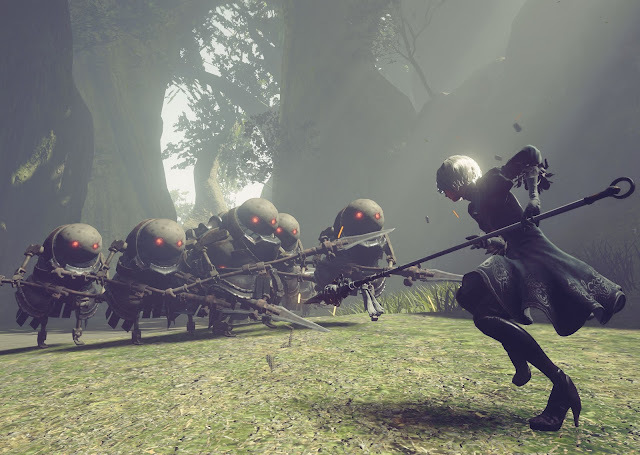 NieR: Automata's visual brilliance is in its subtleties; the way the environments shift from tone to tone, environment to environment to set the mood, and the way the muted colours reinforce the frequently downbeat narrative. As effective as those environments are, even more impressive is the character design and animation because let's be honest here; 2B is right up there with the most memorable characters ever created, and that's before you start looking at the way Yoko Taro and his team managed to give personalities to expressionless robots. NieR: Automata is a game that simply drips with personality and style, and there just won't be another quite like it, until Yoko Taro makes his next one. It would be so easy to dismiss Blue Reflection as "fanservice", but that would be doing it - and the artist behind it, (Mel Kishida) such a disservice. 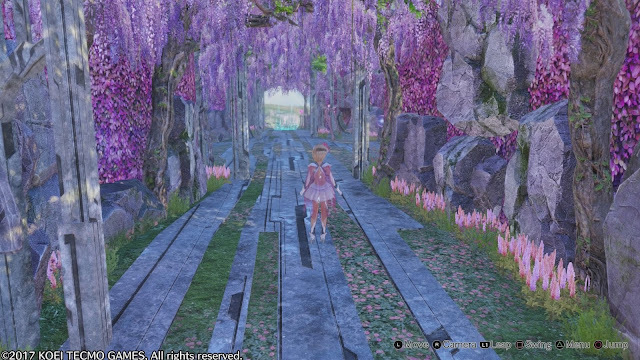 Blue Reflection is just so incredibly beautiful from top down, and what makes it so effective is the consistency of it. Everything about the game revolves around that "blue" motif, and that commitment to bringing out a single colour gives the overall game a painterly, abstracted appearance that really brings to life the incredible concept art. Character designs, as a play on the magical girl genre, are truly beautiful, and while Blue Reflection isn't the biggest budget game out there, it is this one, of all the games that we've played in 2017, that has the aesthetic that will really stay with us for years to come.